After years of ongoing legal issues, Boston College’s (BC) Belfast Project is again in the news. 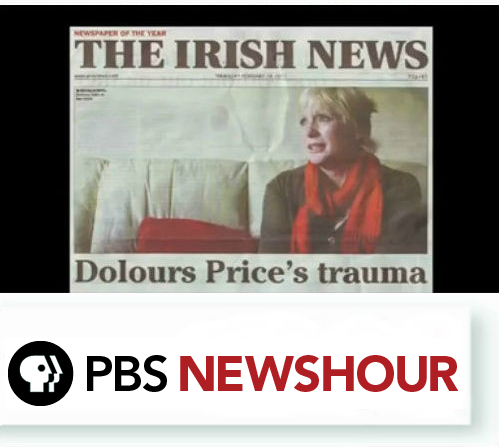 The Project, launched in 2001, is an oral history collection consisting of recorded interviews from participants in Northern Ireland’s 30-year civil conflict known as the Troubles. Funded in large part by Thomas J. Tracy, an Irish American philanthropist with a strong interest in American and Northern Irish politics, the Belfast Project held some 50 interviews conducted through 2006. The project director’s contracts promised confidentiality of the interviewees’ recordings until after their deaths, although these were not reviewed by BC’s counsel. However, since 2011 the U.S. Department of Justice has received numerous subpoenas requesting the interview material from the United Kingdom as they continue to investigate crimes that occurred during the conflict. In early 2015, Winston Rea, a former loyalist prisoner, “secured a temporary injunction as police were set to board a plane for America” to retrieve his tapes from the Belfast Project. As of February 27, a judge claimed the Police Services of Northern Ireland’s (PSNI) request for information was lawful as regards the subject of a police investigation; the recordings have been secured but have been kept sealed, as Rea has decided to file an appeal. The project’s roots date back to 2000, when journalist Ed Maloney introduced BC librarian Robert O’Neill to Irish historian and former Irish Republican Army (IRA) member Anthony McIntyre in order to propose a project: to collect recorded stories from former IRA paramilitary members, capturing their record of the conflict. McIntyre agreed to act as the primary interviewer for the project, assuming that the material, and the people who took part, would be protected to the fullest legal extent. The participant agreement stated that “each interview would be sealed until the death of the interviewee.” No lawyers were used to vet the agreements. McIntyre began his interviews in Ireland the following year. According to McMurtie, by 2006 he had interviewed 26 former IRA members; in addition, a Belfast researcher gathered interviews from 20 loyalist paramilitary agents to reflect the other side of the conflict. Legal troubles for the Belfast Project began in 2011. British authorities had requested that the U.S. Department of Justice (DOJ) issue subpoenas for interviews from subjects they believed had connections to various crimes committed during the Troubles. The subpoenas were issued under the Mutual Legal Assistance Treaty (MLAT) signed between the U.S. and the UK in 1994. According to an article in the Stanford Law Review, the MLAT “provides, among other things, that the United States and the United Kingdom will assist one another in ‘serving documents; locating or identifying persons…[and] executing requests for search and seizures.’” The treaty “does not require compliance…in all circumstances,” but the DOJ chose to issue the subpoenas. By May 2014, 11 tapes had been turned over to the PSNI after it issued a statement claiming it planned to seek the entire contents of the Belfast Project. As a result of these subpoenas Gerry Adams, former leader of Sinn Fein, the IRA’s political branch, was arrested. Two participants in the Belfast Project had implicated Adams in the 1972 murder of Jean McConville, whom the IRA had accused of being an informant. Brendan Hughes, a “legendary IRA volunteer,” had passed away by the time his recordings were subpoenaed; former IRA volunteer Dolours Price however, was still alive, and her tapes remained under embargo. Adams was freed after four days of police questioning. Robert O’Neill, the BC librarian involved with the project, retired during the 2013–14 academic year; his successor, Christian Dupont, was unable to provide comment. He told Library Journal that due to the unresolved nature of the legal issues surrounding the Belfast Project, all College employees have been told to refrain from making any statements. 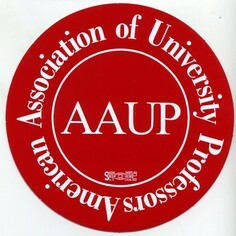 This article was featured in Library Journal‘s Academic Newswire enewsletter. •A British judge has ruled in favor of police trying to access interviews from a Boston College oral history project on the Northern Ireland civil conflict, the Chronicle of Higher Education reported. •Winston Rea, formerly a loyalist paramilitary member, had granted interviews to the college’s Belfast Project on the condition that they would remain confidential until his death. •The court battle over the Belfast Project material began in 2011. This case could have a chilling effect on academic research into other situations where police would have interest in information collected from sources who wish to remain confidential. In this case, the Police Services of Northern Ireland is using the information collected by Boston College to investigate a murder. Boston College had already turned over some interviews, and the police sought all of them in May 2014. Rea’s interviews may not be the only ones ordered to be turned over recently — the subpoena for the Rea interviews was exposed only when he tried to block it. A Boston College oral-history project on Northern Ireland’s 30-year civil conflict has again found itself in court. On Monday a British judge ruled that the Police Services of Northern Ireland has the right to retrieve interviews given to Boston College by Winston Rea, a former loyalist paramilitary member and a participant in its Belfast Project. Mr. Rea had tried to block the handover of his interviews, which were supposed to remain confidential until his death. In 2011 Boston College began a two-year court battle to prevent access to the archives by British authorities, which sought some material as part of a decades-old murder investigation. Boston College ultimately turned over a number of interviews. Last May the Police Services, which continues to investigate old crimes, said that it was going to seek the entire archive. That appears to have resulted so far in one subpoena, for Mr. Rea’s material. Unlike the earlier court battle, the legal deliberations that led Boston College to turn over Mr. Rea’s interviews came to light only when he tried to stop the transfer of material into Northern Ireland. It is unclear if subpoenas for any other interviews have been issued. Boston College declined to comment, saying the U.S Department of Justice had asked that the matter be kept confidential. The Justice Department also declined to comment. A former loyalist prisoner trying to stop police obtaining interviews he gave to a US university project is being investigated over offences of “the utmost gravity” a court has heard. Counsel for the PSNI said inquiries related to Winston “Winkie” Rea involve a series of incidents. He said they spanned a period of more than 20 years. Mr Rea is among dozens of loyalists and republicans who provided testimonies to Boston College’s Belfast Project. Last month he secured a temporary injunction as police were set to fly out to collect tapes from his interviews. The interviews were given to researchers compiling an oral history of the Northern Ireland Troubles, on the understanding that tapes would not be made public until after their deaths. However, in 2013 detectives investigating the 1972 abduction and murder of Belfast mother-of-10 Jean McConville secured the transcripts of former IRA woman Dolours Price’s account. The material was handed over following court battles on both sides of the Atlantic. Mr Rea, a former prisoner and son-in-law of the late UVF leader Gusty Spence, is now seeking to judicially review the Public Prosecution Service’s attempts to obtain his interviews. 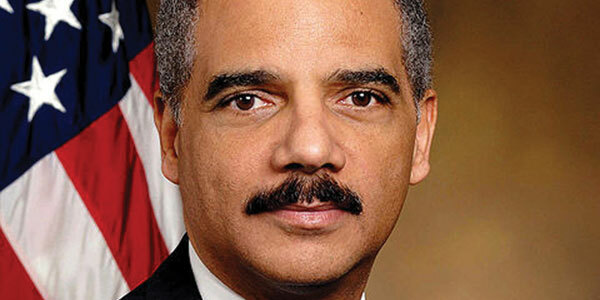 He claims that a subpoena for the material is unlawful and lacking in any specifics about why it is being sought. But in the High Court on Wednesday, a lawyer for the chief constable rejected claims that the police were involved in a “fishing exercise”. He told a judge that a letter was sent to the US authorities last September outlining a request for assistance. “It sets out the identity of the person subject to criminal investigation, that’s the applicant in this case,” he said. No specific incidents were referred to in court, and Mr Rea has not been charged with any wrongdoing. However, the lawyer said there was “highly specific information in respect of the potential alleged involvement of the applicant in a series of incidents from the 1970s through to the late 1990s”. Adding that police have a obligation to carry out effective investigations under human rights legislation, the barrister argued that the judicial review application should be heard urgently. A lawyer for Mr Rea said the alleged incidents were “historic crimes”. He said the information had only been supplied last week. Following submissions, however, the judge fixed the case for a further hearing on Friday. Anthony McIntyre’s home in a postwar housing estate, south of the Northern Ireland border, is a long way from the tree-crammed streets of Newton, Massachussetts. The latter suburb is where Boston College (BC) is located, centre of the tapes drama in which McIntyre, 57, is arguably the key player. The one-time IRA killer carried out 25 of the 26 interviews with republican paramilitaries for the so-called Belfast Project. Speaking to the News Letter about the saga from his house in the Republic, McIntyre explains that the 26th interview in the series was of him, carried out by an unidentified interviewer. The 14 loyalist interviews were conducted by Wilson McArthur. All were due to be confidential until the death of the participants. 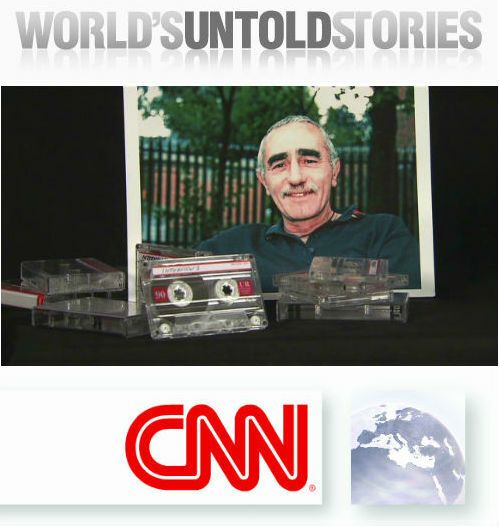 The journalist Ed Moloney informed him of the tapes project in 2000 (the pair first communicated when McIntyre was in prison). McIntyre was central to the project because he chose the republican interviewees. “I was the person on the ground,” he says. There are some interviewees whose identity Moloney still does not know (each was known by a letter). McIntyre will only say of his own interviewer that he has, like him, a PhD. McIntyre got his doctorate at Queen’s, under the former advisor to David Trimble, Lord Bew (who was later a visiting BC academic at the start of the project). They also first communicated when McIntyre was in prison. “I’d be very friendly with Paul Bew,” he says. The interviews were carried out from February 2001 to 2006. McIntyre does not accept that Moloney’s 2010 book, Voices from the Grave was the undoing of the project (Brendan Hughes made allegations in it about Jean McConville’s murder). McIntyre blames the unravelling on Dolours Price interviews in the Irish News and Sunday Life, in which she made similar allegations. McIntyre’s American wife Carrie Twomey (who sits in on our interview, and who in tone seems if anything more agitated about the tapes saga than him) points out that the interview with Hughes was in the book, so there was no need for a legal bid to recover it. The Price tape, however, was unknown to the outside world until she spoke out and “was taken advantage of”. McIntyre says that after the Price interviews “the PSNI went to the McConville family”. BC and the McConvilles say that the family approached the police (on Saturday we will report the McConvilles’ view of the saga). Carrie says that when the subpoenas arrived, BC took a corporate decision not “to be associated with terrorists”. McIntyre is relentless in his assaults on BC, barely accepting that anyone else shares blame. What about the idea that September 11 radically improved British and American co-operation over any terrorism, including of the Irish variety? The only possible chink of disagreement between McIntyre and Moloney is when McIntyre is asked about the book. “I didn’t like the book appearing,” he says, but immediately adds: “I wasn’t blaming Ed.” His fear was that the Provisionals would “make life hard for me or the people they thought were interviewed”. But he was “of these people” and able to talk to them better than an oral historian. As a model for truth recovery, McIntyre says the project was “very meritorious”. Anthony McIntyre must have had qualities that were admired by the Provisional IRA, because his progress within its ranks was rapid. He was already in charge of the organisation’s Lower Ormeau faction by the age of 18, when he was imprisoned in what he calls Long Kesh. He stayed behind bars there until December 1992. McIntyre had been the gunman in the team that shot dead the UVF member Kenneth Leneghan, on the Donegall Pass in Belfast in February 1976. He had joined the Provisionals in 1973. “I had seen a lot of sectarian killings,” he explains. McIntyre took part in the Blanket Protest in the Maze in the late 1970s and was a prisoner throughout the hunger strikes of 1981. By the time of his emergence from prison, as the IRA was moving towards ceasefire, McIntyre was one of their more hardline members. By the time of the second Provisional ceasefire, in 1997, he predicted that Gerry Adams was interested in “renegotiating the terms under which the British ruled here, it wasn’t about getting rid of the British, so I objected”. He says that the phrase was honourable in the Soviet era, when it referred to people such as Aleksandr Solzhenitsyn, but that “here dissident became something synonymous with pervert and deviant”. He moved to the Republic in 2007, before the tapes controversy flared up, but says he now can’t return to Northern Ireland because of it for fear of arrest. But he says – acknowledging that what he is about to say is a “hard ask” – “victims should consider trying to obtain justice through revelation rather than justice through retribution”. The latter leads “to a situation were everyone clams up and nobody gets anything”. Asked whether he extends that to Bloody Sunday soldiers, he says those shootings were a war crime, but yes, he does. Does he have regrets about his own violence? As the interview with the News Letter goes on at length, McIntyre and Twomey’s children interrupt to ask about dinner. He says that at 18 he was indifferent to the fact that Leneghan was a father. In an old building, one that might be described by American realtors as ‘a handsome colonial’, is the academic department at the heart of the Boston Tapes saga. Connolly House (pictured below) on the sprawling Boston College campus contains the Centre for Irish Programmes and the offices of Professor Tom Hachey, executive director of the centre and one of the brainchilds of the tapes. The project has rocked the Northern Ireland political process, specifically the contentious question of how to deal with our troubled past. It has raised far-reaching questions about free speech and the boundaries of confidentiality. Known as the Belfast Project, the tapes were made up of interviews with 26 ex-IRA members (25 conducted by the former republican prisoner Anthony McIntyre, and the last an interview of McIntyre) and 14 loyalists (interviewed by Wilson McArthur), to be held in confidence by the college’s Burns Library until the death of the participants. And so the project remained under wraps as planned until two of the interviewees died, and things began to unravel. After those two deaths, of former IRA man Brendan Hughes and the former UVF member David Ervine, the writer overseeing the interviews – Ed Moloney – published Voices from the Grave, which was the first that the outside world knew of the tapes. Hughes made allegations about the 1972 IRA murder of the Belfast mother-of-10 Jean McConville (whose body was not found until 2003), including the claim that the now Sinn Fein president Gerry Adams ordered her abduction. This, and an interview by Dolours Price (see timeline), ultimately triggered a PSNI demand for the tapes. The ensuing transatlantic legal tug-of-war came to be depicted as a conflict between the occasionally competing interests of historians and the forces of law and order. But the historians at Boston College say they were barely involved. Kevin O’Neill, a professor in the history department, and his colleagues knew nothing about the tapes, which they later concluded was a narrow project run by the Burns librarian Robert O’Neill and Professor Hachey (who did not reply to a request to be interviewed for this article). Professor O’Neill became aware of the project when he was asked around 2001 by Professor Hachey to give his professional opinion on some interview transcripts. The interview content had left him “very concerned”. He was concerned that McIntyre was asking leading questions. He also wanted to know if anyone involved in the interviews had a training in oral history. Professor O’Neill’s second chief concern was that it was clear that interviewer and interviewees were “very anti-agreement”. He otherwise thought that the interview that he read was “extremely valuable”. Professor O’Neill heard nothing more until Moloney’s book came out in 2010. Professor O’Neill says that the contract that Boston College signed with Ed Moloney specified that the university would set up an oversight committee to oversee all the project and he was named as a member of this committee. But he was not informed of the committee, and it was never created. He says that the contract between the College and Moloney included the key proviso that the interviews would be held from public access until the death of the interviewees “to the extent that US law allowed” but this proviso was not in the contracts given to the interviewees. If it had been, he thinks most people would have said no to being interviewed. It was, he summarises, “irresponsible [of the College] to give people a contract that you couldn’t deliver on”. He wants them to apologise to the interviewers and interviewees. He is also upset at the damage that the episode has done to Boston College’s bid to build relationships in Ireland. They had, he says, tried to make the conflict in Northern Ireland “a bit more complicated than most Irish Americans saw it”. They helped organise and sponsor the first visit of loyalists to the United States, for example. It was only in May of this year that the Boston College historians made clear their unhappiness at the way the project had been handled, something Professor O’Neill says he was uncomfortable about doing because of the irritation it would be likely to cause in the university hierarchy. “I’m not a martyr by nature, you know, but we felt strongly enough because of the negative impact of what’s happened on so many people,” he said. 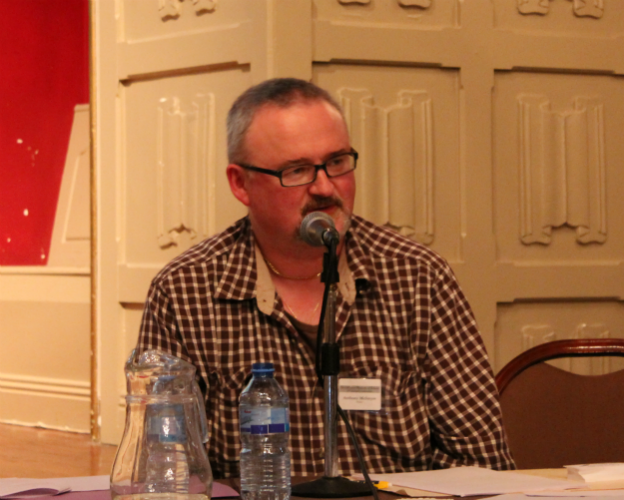 Professor O’Neill says that the first rumour he had heard about the existence of the tapes was when Ed Moloney came to the college one day and mentioned to a historian colleague that he was working on the project. At a later reception at the Burns Library, Moloney was present and said something similar to Professor O’Neill. Professor O’Neill says he feels “sick” for the misery the saga “has caused people in Belfast … the interviewees mostly”. The loss of the material was “very disappointing”. “To see how ordinary members of an extraordinary phenomena of the IRA or loyalist paramilitary groups, how did they come into that activity, what did they think about it … this is exactly the kind of material that historians really need.